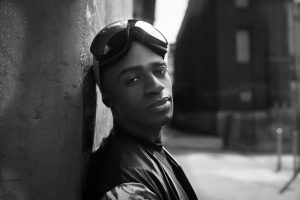 An Interview With The ‘Vivid Echoes’ Artist and Producer, YARLEY G! 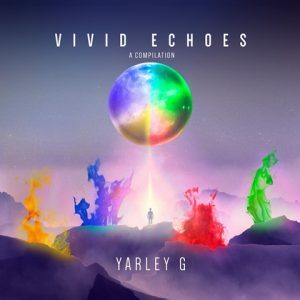 Ascending to a new level of talent, both as artist and producer, NYC’s Yarley G brings forth his latest album “Vivid Echoes” today. 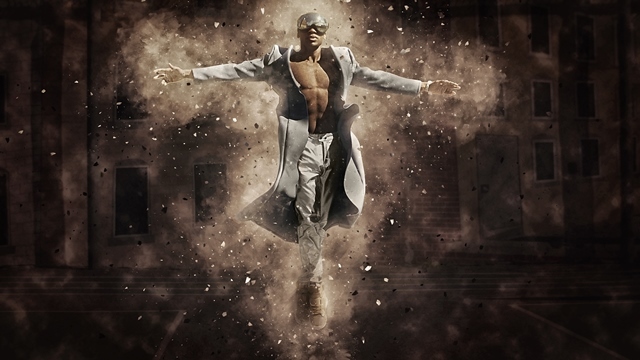 Blending hip-hop, pop, EDM, soul and R&B elements, the album displays a wide range of sounds while still feeling cohesive, thanks to Yarley G’s impeccable ear and world class engineering skills. A number of guest artists including Skyzoo, D’Wayne Reade, Angel Demone, LJ, Adrianna, IMAN, Zig Short, Cool Co. and Al-Karim all add their creative flavors to the mix, making each song distinct and memorable. PopDust premiered the full release. For the project, Yarley G also called upon a range of talent to collaborate. The process was tedious, but as with any great work of art, it is the smallest details that require the greatest scrutiny and Yarley’s decisions as a producer show great taste and purpose. “The recording process was about 2.5 years of late nights, joking around, laughter, excitement, happiness, heartbreaks, fatigue, depression, sadness and stress,” said Yarley. 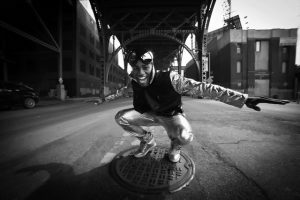 When working with each artist, Yarley put genre boundaries and limitations aside, letting the music and collaboration take the lead, for standout results on each track. 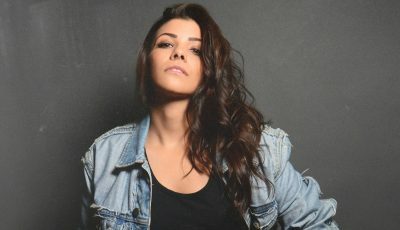 Yarley G worked with UK artist IMAN on the lead single “Forget You” which came together in two days. 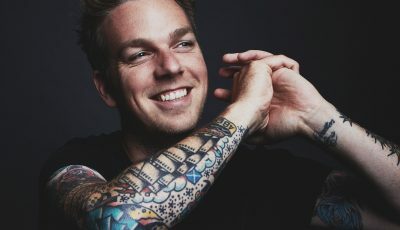 Others tracks, such as “Would You be Mine” and “Rise” took longer, collaborating with multiple artists in the studio and remotely over the course of a few months. “None of these songs were rushed and I ensured to mark them complete only once both the artists and I were happy with the recording and the mixing. I did all the recording, mixing and the most sensitive mastering process. Audio school from many years back has really paid off, phewww!” laughed Yarley. Ultimately, Yarley G’s Vivid Echoes is an album that seeks to unify and empower the listener through messages of love, equality, and peace. The collaborative element of the record only further enforces the message of unity and Yarley enthusiastically acknowledges the contributions made by everyone involved in the recording. “This has and will forever be a learning process and I thank all the artists, for I couldn’t do this without God and them.” Vivid Echoes is out everywhere now, including Spotify, iTunes, Amazon, Google Play, Bandcamp, and all major digital retailers; full details for all formats can be found at vividechoes.com. Thanks for your time! So where does this interview find you? What’s on tap for the rest of your day? This interview definitely finds me very well 🙂 these questions seem to be very interesting. My day today, since it’s Sunday, is actually head to church then coming back home a creative planning and music session with one of the artists I work with. Overall, how do you think 2017 was for you and your career? What are you most excited about for this year? What is one big goal you have for 2018? 2017 was a great creative point for my careers, I’ve learned and learned. I was able to explore more music with the artists I worked with and also had landed a placement on Fox’s Rosewood early in the year, and had several TV placements towards the end of the year while I was wrapping up my Vivid Echoes compilation. This year is very big for me since I’ve just released my first music compilation, I can just keep spreading the word on it until it reaches a stopping point which might be a couple of years from now. Growing up, did you ever think that this would be the kind of life that you would have? Has music always been a big part of your life? Can you recall your first ever musical experience? When I was a kid back in Haiti, I use to fake perform in front of friends but I never thought I would one day become a music producer. I aimed for that goal when I was about to leave high school. I was always passionate about music, I wanted to learn guitar when I was about 5, but never really started learning music until I was 12. Seeing musicians at church was what gave me the urge and it was it all started for me with the saxophone. How do you think that your hometown has influenced the kind of artist that you today? It has partially influenced who I am, I kind of have two hometowns! That’s back home Haiti where classic R&B and Pop from artist like Brandy, Back Street Boyz, Celine Dion was the thing to listen to growing up, to when I migrated here to the US and I learn about hip-hop and the culture of the time. Both of these experiences have influenced me, but as I learn more about music I dug into more genres influenced with electronic or jazz, those have helped increase the boundaries of my music. I experiment from whatever my heart tells me to try. What was it like putting together your new compilation album, Vivid Echoes? You have a ton of guest artists featured on it so I am curious to know how you went about selecting them all? What was it like working with them all? Vivid Echoes was an accident [laughs], I never planned this at all, few years ago I knew I wanted to get this sound going and crank up as much songs as I could with the artists and songwriters I was working with at the time, but this was all an organic process where I after spending years just piling song after after song, something in my spirit told me “you might have a project in there just pick out some of the songs you have in the stash”. I did exactly that and maybe polished up a couple more songs to fill in somethings I thought the project needed. These artists are all people I work with so it wasn’t difficult for me to use some of the works which we have. With IMAN, it was swift, Working with Al Karim is pretty sweet with the amount of freedom he gives me allows my creativity to be limitless, with Zig Short it’s the same, he’s open to experimenting Rap with whatever we feel is right. Working with D’Wayne Reade is always a creative process where we re-arranged the track a bit, but he nailed what I was going for on “Rise”. I must ask in particular what it was like working with IMAN (featured on “Forget You”)?! What did she bring to the collection? Mann!!! Phew!! Super amazing, her style of writing is incomparable if you listen to some of her other works such as her latest “For You” you’ll see what I’m talking about. I was never one to understand lyrics but it took me maybe 10 years haha to finally get it and she’s just so great at telling a captivating story with memorable melodies. I also love the UK accent, I am one that wants to be universal – I don’t want to be bounded to what’s here only and working with her on this track gave me my first official release outside of the United States. How did you go about choosing for the lead single of the collection to be “Forget You”? What was the inspiration for this track? What are some of your other favorite songs on the album? How did you select and curate them all together on Vivid Echoes? “Forget You” just made sense because of all the feedback we received across on Instagram, Facebook and my inner circle, and my folks at Behind The Curtains Media (publicity/radio promo) listen to a bunch of stuff and also was what they felt would work well, so all the votes made this song so obvious which I’m glad. 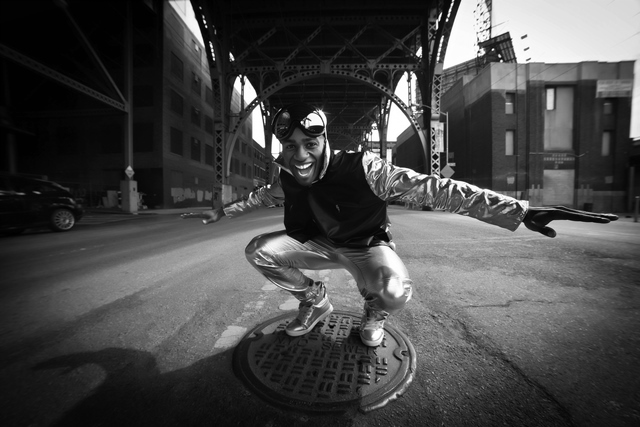 The inspiration for this song, that IMAN wrote, was share an experience that many of us can relate to, I give all artists the open floor to talk about whatever topic they feel like expressing and usually connects with the mood of my track. I am curious to know more about your platform known as Yarley G Music. What has it been getting all these artists and songwriters together? Where did the idea for the project come from originally? Man it can be like getting kids together for nap time at a daycare lol, just kidding, we all work very well together and I can count on them, we worked on this project without thinking about it, that’s my method of working on songs, it’s just let’s just freely express our thoughts and lives, then once we feel like there’s a project there, let’s take the tracks that we feel fit and piece it all together later. My platform is one I want to create to continue to inspire people all over the world to create and express themselves. You will get criticism – not everyone will like what you come up with – but you will inspire someone, you will mentally aid someone, and that’s the importance of this art, it saves lives, helps people out of depression, anxiety and even suicide. This project I wanted to portray freedom of expression to everyone, don’t be afraid, no one has a manual for how you’re supposed to live your life and be happy so continue to express yourself so you can enjoy your happiness. 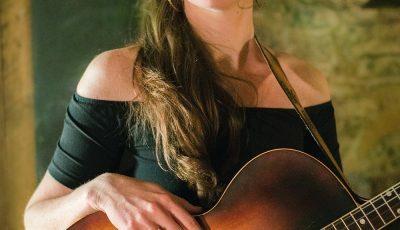 We are living through a very trying and politically charged time right now so I am curious how you think being a musician gives you the most joy in life today? How do you think that music is going to reflect these challenging times? “Rise” was partially inspired from one of those times, I remember I was leaving the studio after wrapping up with D’Wayne Reade for our first mixtape together “Prescription 3” and soon as I stepped outside I saw a car with one guy that pulled down his window and drove around the corner looking very suspect. As soon as I turn the corner and about to get into my car, they ran out after me like I stole something, my first instinct was to drop my bag back into the studio, but didn’t quite make it back and they tackled me down and placed me in handcuffs. This occurred in our studio in Bedstuy. I was left with a “I’m sorry” and a little bruised, but I’m very grateful and thank God for not letting any serious harm happening to me and me possibly losing my life that night, because so many similar stories where someone in my situation didn’t quite make it. I’m all about positivity, I don’t like to focus on the negative, music can definitely help cope with anger and frustration, and it’s up to us as musicians to help direct the people. “Rise” discussed this but most important how we have to keep working towards that light that’s at the end of the tunnel, we may come from dirt but we can blossom into the beautiful flower that the sun shines on. Who are some of your favorite artists or rather, what musicians have continued to inspire you and your music? What musicians would you absolutely still love to work with in the future? I hope you guys become fearless of who you are and what others may think of you, don’t be afraid to the slightest risk that you’re mind is telling you to try with your creativity, as long as you put your heart and soul into it, people will enjoy it. I also hope they don’t focus on the negative so much, as much as I can try to convey this message, only the music will be able to do that. Martin Luther King had a dream; it wasn’t only for race but gender, religion, and other beliefs as well, let’s keep spreading that good dream. Yes! Please continue to share our music if you like and strongly feel it’s worth sharing, as you are the only way our message will keep spreading, without you, I can’t get too far, so please continue to support us and feel free to reach me on Instagram, Facebook or Twitter @yarleygmusic. Thank you! An Interview with The Hip Hop Turned R&B Solo Artist, ELIJAH GRAE On His Breakout Solo Music, His Biggest Inspirations and More!